Any one claiming they will produce economic thermonuclear fusion in a few years is either misleading (best case) or lying (most likely case) to you because it will not work. Apologies to all who posted on page 4. In trying to erase all references to the PM that was posted. The deletions and responses were also emptied. I have spent 15 minutes cleaning up the mess. Prior to this, I have had no issues with simple deletions of single postings found undesirable. I do not know what happened here. Sorry again to all who posted and responded on this page whose posts are lost. Again, no personal messages sent to any member may be posted or shared with the other forum members without the full permission of both correspondents. I would have thought this would have been self-evident. Now, it is the official rule of this site. Thanks Richard! It is very much appreciated. I am happy to entertain public questions again if there are any. While my post was hard, I am not happy when someone makes claim's that they have discovered a breakthrough in fusion (net energy) without peer-reviewed proof nor at least some research that demonstrates they are doing something that is, at the very least, based on known physics relative to that goal. I have not seen that post or is it on another thread? That all said, I should clarify that I do feel that your efforts to attack this issue - to do some type of fusion - is an honest attempt and is a worthy goal. Also, I do think you deserve support from people that clearly realize your odds of success of ever making even a watt of electricity from fusion is extremely unlikely. However, maybe you will beat the record for a fusor? That might be possible. Or even do just some interesting work. Either way, I do hope to see your project progress and that you continue to post here. Also, I do honestly hope you achieve some success and get a device working. As Richard says - build it and show results. It appears you are trying, so, you deserve support here at the forum in your attempt. Just best not to promise any electricity . Thanks for the post and comments. I want to clarify that no where do we claim any breakthrough other than a fully functional superconducting research device, and now on to a second generation superconducting IEC research device. Though no publications on the first device, it is built! You can clearly see it in operation from the video, and you can go see it in person on public display. What other company does that? We will publish after validation and full field in 2019. The point of the vouchers was to be in the place of a t-shirt for fundraising, our end goal is energy production so I thought if there was ever success that would be a nice way to support the project. Buy a voucher now, and if we are successful get a check in the mail at current electricity prices, otherwise a donation. It is attempting the unlikely as you all know, but there is no longer the luxury of not having fusion for energy production. It simply must happen. Someone must be successful and we are going to do whatever it takes. A suggestion - since your device is on-view, why not post pictures of the apparatus with some details and descriptions. Then, I would think posting details (general) of your approach and how you believe your design will improve upon fusor performance would both better support your ideas and provide readers some understanding of your approach. Sure I can do that. The best pictures and description are on the website, but I will draw on a few to make it easier to see what is happening and post them when I get a minute. Ok sorry for the delay, busy busy! Here you go. To improve the efficiency of a fusor we go after the loss mechanisms. How are you putting energy into the fusor? You put a large potential on the grid and ions are electrostatically attracted to it. The first major loss mechanism is grid collisions and electrons leaving the grid. This is exacerbated by the fact that the grid gets hot from ion collisions which increases thermionic emission from the grid. Most of what the fusor community attributes to "star mode" is actually high energy electrons interacting with background gas, which generates the light you see. This is also what you see in our video when the pressure is turned up very high. It is useful in showing for demonstration and to visualize the field. 1) The first step in the technology to address loss mechanism is to use a magnetically shielded grid, reducing the grid collisions while maintaining the potential. 2) The second part of the technology deals with confinement of the plasma. Using a magnetically-shielded grid it conveniently creates a cusp confinement system. Similar to Lockheed Martin's CFR and Polywell. However we use a spindle cusp because it is significantly easier to construct and gives very similar information. None of those geometries may the best so we are starting at the beginning and rather than claiming we have the optimum geometry, do the background work first then determine the geometry of the grid. Cusp confinement is being revisited due to its potential to operate in high-beta conditions, which is when the diamagnetic plasma pushes back on the field improving confinement. The first generation prototype proves two things, that we have the capability to apply superconductors to a shielded grid setup, while simultaneously setting up a high-beta confinement device. The first generation was a success in both regards. 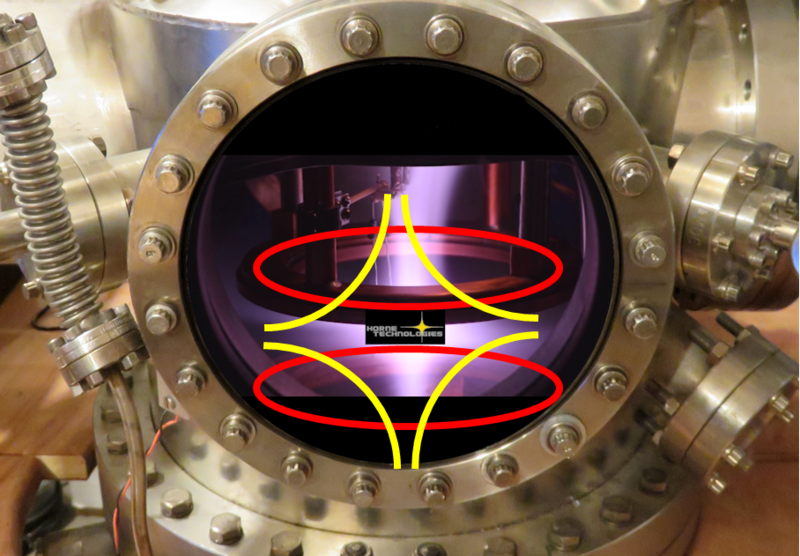 The second generation, which is what funding is being raised for, is to optimize the parameters that contribute to the fusion efficiency of the design. 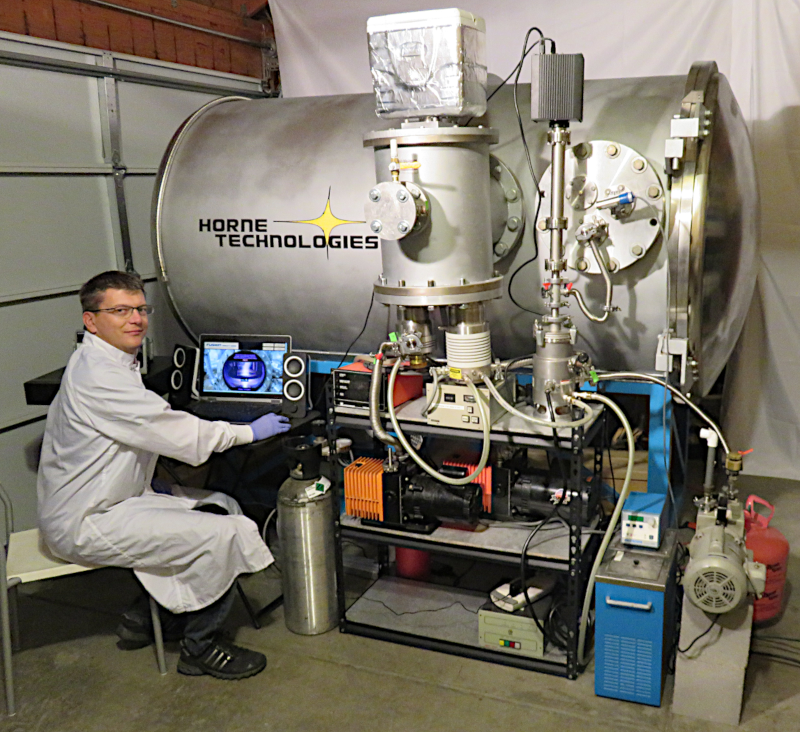 With funding this device and experiments could be complete in 2019. After that set of experiments there is a pause to do data analysis. This is the gate point, if the data shows that there is a scale and parameters that could produce efficiencies enough to break even then a third device will be constructed to accomplish that. If the data shows that it is not feasible then we will publish the results, which will be valuable information about cusp confinement. The thing to note is the first generation device was constructed completely without national funding and demonstrates the capability of using superconductors that far surpasses the previous devices created such as Polywell and LM CFR. The next phase is to determine the optimum geometry and go from there. A large chamber and equipment has also already been acquired. Though funding assistance would greatly help increase the pace of research, it is continuing on regardless. We have a network of the most knowledgeable and capable scientists and engineers in the world and there is strong collaboration to push forward with the research. Here is an image of the first generation device, now on display in the Boulder Public Library. Here is an image of the second generation device under construction. Progress continues, bake out system soon in the works.